When assembling your perfect PC setup, you have to think about a lot of things. Graphics cards, processors, peripherals, and many other components require a lot of planning, and often quite a lot of money. 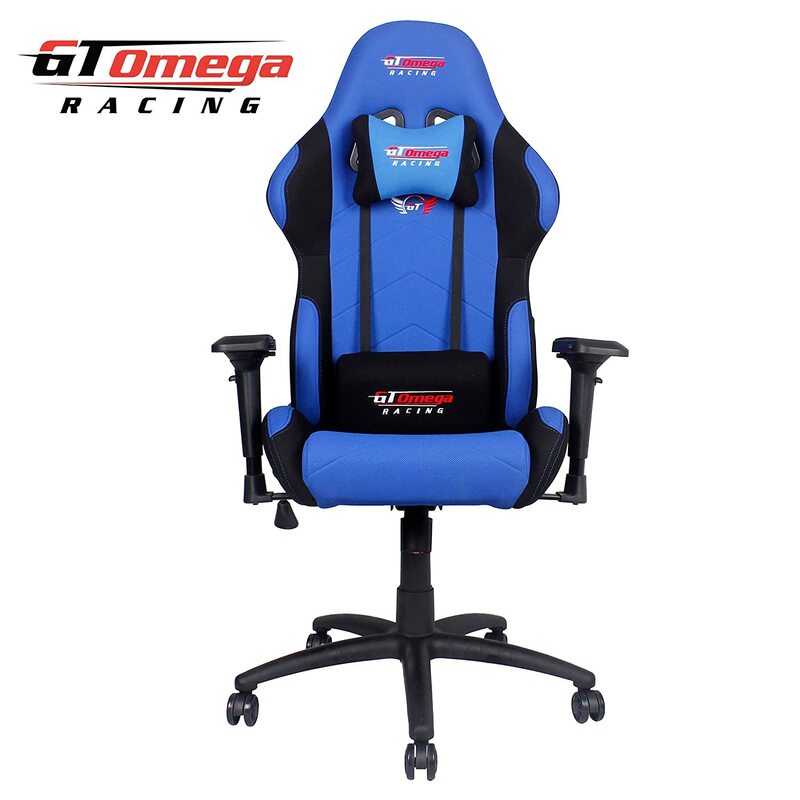 While you’re planning how the perfect gaming station will look, you must keep in mind one of the most important pieces of gear – the gaming chair. A good chair can ensure that your body doesn’t get damaged easily, and that you have more energy for your favorite games. Secretlab has come up with a solution that can make this happen. The TITAN is one of the most capable chairs Secretlab’s ever designed since the company entered the market in 2014. It’s made to fit pretty much anyone, regardless of the body type and size. This is because Secretlab made sure to create enough sitting space for people that are larger than average. Aside from this, the chair is made of high-quality materials that will ensure durability and great comfort. The support it provides is pretty much unparalleled, and its versatility makes it useful to all kinds of users. No matter how fun it can be, gaming can also be pretty exhausting. Sitting in a chair for a long time can harm your health, so you need to do everything you can to prevent that. This is why this chair can be a perfect solution for serious gamers, streamers, and virtually everyone else that has to sit a lot during their everyday life. If you need to spend hours behind a desk each day, this chair can make you feel more rested and comfortable. It should be said that this chair isn’t cheap. If you’re already spending a lot of money on your setup, this might be a bit over your budget. For this reason, make sure to plan your setup again. There are two ways to order the TITAN. You can choose to get all the parts shipped to you and assemble it yourself, or pay a little extra and get a technician to assemble it for you. No matter the option you go for, the package includes all the parts needed to put this chair together, along with a velour head pillow. It’s made out of a soft cotton and will provide great comfort to your neck. You also get a two-year warranty on all functional aspects of the chair. This means that cosmetic damages are not covered. Secretlab thought about pretty much everything while designing this chair, as there are many features that ensure exceptional support. First of all, the lumbar support is integrated into the backrest, and you can adjust it to fit your body. By simply turning a knob, you can find the perfect support for your back. Another great thing is the design of this chair. It resembles a car seat from high-end sport cars. This is because these seats were an inspiration for the TITAN. The chair ensures great weight distribution, which helps to make sure your body doesn’t become sore with time. The build quality is also impressive. The combination of PU leather and foam maximizes comfort, while ensuring durability at the same time. The aluminum base holds the weight without issues, so everyone weighing up to 130kg can sit on the chair without worrying about damaging it. An amazing thing about this chair is its adjustment capabilities. As mentioned, it is designed to fit most people, so you can adjust it to fit your body type. You can recline the backrest all the way backwards to watch a movie or take a nap. You’ve seen how capable this chair is. There’s no doubt that it is comfortable and durable. However, it might not be as versatile as you want it to be. The design and features do not fit every surrounding, so it might not be for everyone. If you want a solution that can be perfect for virtually any environment, you can check out the Herman Miller Aeron. Every passionate gamer should consider this chair. It has a lot to offer and it can be a great investment. It looks like a beast, so it can match your gaming setup perfectly. The features are impressive, so there’s no doubt that the TITAN can enhance your gaming experience and ensure that your body doesn’t easily become exhausted and uncomfortable.